In Kekkilä FLOW the liquids and gases move steadily and continuously throughout the substrate. Creating Kekkilä FLOW, we have improved the structure of our premium peat with high-quality wood fibre to create a modern product portfolio for nursery stock, ornamental and pot plants. The improved structure of the Kekkilä FLOW substrates provides good aeration, promotes fast water absorption and enables quick root penetration. The Kekkilä FLOW substrates have high structural stability. They remain loose and permeable which improves aeration. Thus, enabling ideal root development which is the basis for optimum growth and healthy plants. 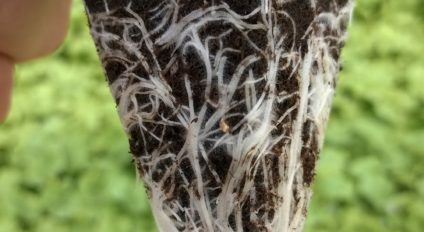 The improved re-wettability and water in-take of the Kekkilä FLOW products promotes the formation and growth of roots. Our premium peat gives the substrate the ability to hold water, thus preventing sudden drought. 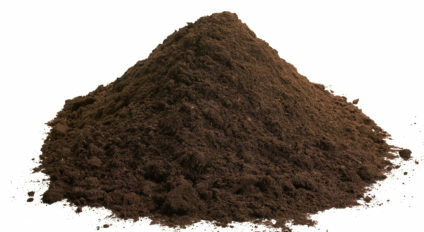 The high cation exchange capacity of peat means the substrate holds nutrients. Crops with sensitive roots such as poinsettia, surfinia, lavandula and cyclamen are sensitive to overly wet conditions which cause most of their diseases. Thus, they benefit from Kekkilä FLOW substrates’ air-filled porosity and subsequently improved drainage. The improved drainage of Kekkilä FLOW products enables water dispersion when there is excess water. Therefore, the substrate prevents water logging and the subsequent lack of oxygen. 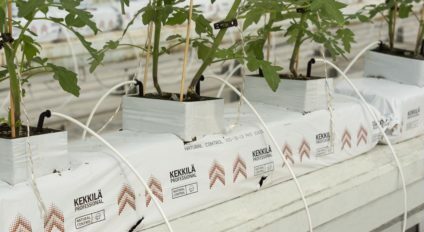 Thanks to the improved drainage Kekkilä FLOW products are ideal for plants that are grown outside where the amount of water cannot be controlled. Sprinkler irrigation may cause algae and fungus which can be prevented by using the Kekkilä FLOW solutions. The improved drainage reduces algae from forming. The top layer of the substrate dries quickly. This also prevents fast evaporation. Consequently, the substrate is dry at the top whilst remaining moist underneath. KS6 (NPK 16-4-17 / N-P₂O₅-K₂O 16-9-20 kg/m³) contains slow release N which secures nitrogen availability also when fertigation is not possible due to rain. In addition to the macronutrients, all our starter fertilisers contain all the essential micronutrients also in EDTA chelated form. The chelation helps the metallic micronutrients to remain soluble and available for plants on a wider pH range. Kekkilä SafeFLOW is safe for even the most delicate roots because it inhibits too wet conditions. It is a medium coarse product range which is ideal for propagation in multipacks and short culture short culture (10-12 weeks). It has been designed for use in 6-12 cm pots. In Kekkilä EasyFLOW growing is easy thanks to its porous structure which prevents waterlogging. Products are also available with KS6 base fertiliser with slow release nitrogen. Kekkilä EasyFLOW is a medium-coarse substrate range which is best for different types of pot plants in 11-14 cm pots. Kekkilä SteadyFLOW is a coarse product range with steady and stable structure which remains loose and permeable improving the flow of air and water. Products are also available with KS6 base fertiliser with slow release nitrogen. Kekkilä SteadyFLOW products are ideal for various types of pot plants in big, over 14 cm pots.